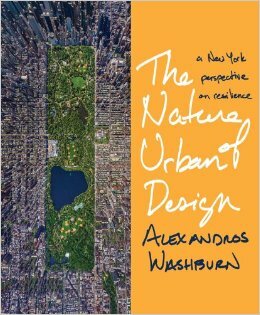 In his visually rich book The Nature of Urban Design, Alexandros Washburn argues that the best cities become an ingrained part of their residents’ identities and that the strength of our communities will determine how we respond to crises like Hurricane Sandy, whose floodwaters he watched from his home in Red Hook, Brooklyn. Urban design is the key to this process, but all too often, citizens abandon it to professionals, unable to see a way to express what they love and value in their own neighborhoods. His book strives to empower urbanites and offer a new approach to design that will help cities to prosper in an uncertain future. Alexandros Washburn is a professor at the Stevens Institute of Technology, former Chief Urban Designer of the New York City Department of City Planning and former Public Works Advisor and chief architect for Senator Daniel Patrick Moynihan. He lives in Red Hook, Brooklyn.